After 42 years of working in education, all over Montana, Arlee’s new superintendent says that he’s found the place he plans stay for the rest of his career. “This school here will be my last school,” he said. This coming year will be Baldwin’s 25th as a superintendent. 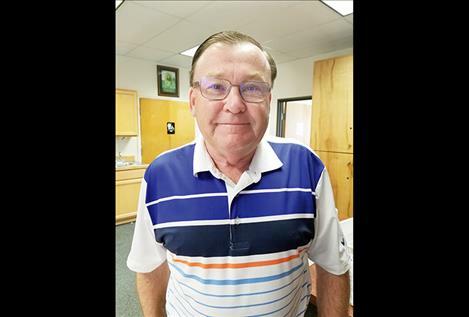 He said that he is familiar with western Montana after working as the superintendent in Alberton for 15 years. He has also served as superintendent in the Choteau and Poplar school districts. His bachelor’s degree is in Health and Physical Education. Baldwin said that as a superintendent he values communication and has an “open door policy.” He said that he would work to bring staff together in creating an optimal educational setting. “My job as superintendent is to make sure everybody’s on the same page and working for the interest of the students,” he said. As a supervisor of school staff, Baldwin said that he would be fair and empathetic. “I would never ask a staff member to do an assignment that I myself would not do,” he said. One unique feature of the Arlee School District is familiar to Baldwin: four-day school weeks. Baldwin said that he was the first superintendent in Montana to implement the shortened week, which he did when he worked in Alberton. He said that he gave a presentation to staff at the Arlee school district about the four-day schedule several years ago. After his presentation, the Arlee district made the switch to a Monday through Thursday school week. Baldwin said that he advocated for the four-day week because it allows students to attend events on Thursday nights without compromising their day on Friday and it attracts teachers. The four-day schedule is also more consistent than a five-day week: if there is a holiday on a day that the students are usually in school, then a school day is added on Friday. Athletics are of particular interest to Baldwin, and he said that he is looking forward to watching Arlee sports teams this year. He is especially excited about the boy’s basketball team, which has won the state championship the past two years. Baldwin said that since he started at the Arlee School District on July 5 he has seen that the community really supports the school and the students. For that reason, he said, Arlee is a great fit for him. “We put kids first and that’s always been my belief,” he said.